Oral appliance therapy (OAT) is a non-invasive method for treatment of obstructive sleep apnea (OSA). OAT includes a dental appliance that keeps the airway open during sleep. When appropriately practiced, OAT provides a more predictable success rate than surgery, is reversible and considered more user-friendly than nasal CPAP. There is an alternative to CPAP! Why Dr. Abrams is Different ? The success of oral appliance therapy in the treatment of obstructive sleep apnea and in eliminating or significantly reducing snoring is dependent upon the practitioner and the patient. Dr. Eric Abrams of Princeton Park Dental Associates is an award winning board-certified member of the Academy of Dental Sleep Medicine and is the most experienced specialist in the area able to evaluate and fit you with a dental appliance. There are several types of appliances. Success depends on matching the most appropriate appliance, a correct fit, titration and method of use to the individual patient. Every patient is unique and a proper fit varies depending on treatment goals, apnea scores, and the physical structures of their mouth, jaws and throat. 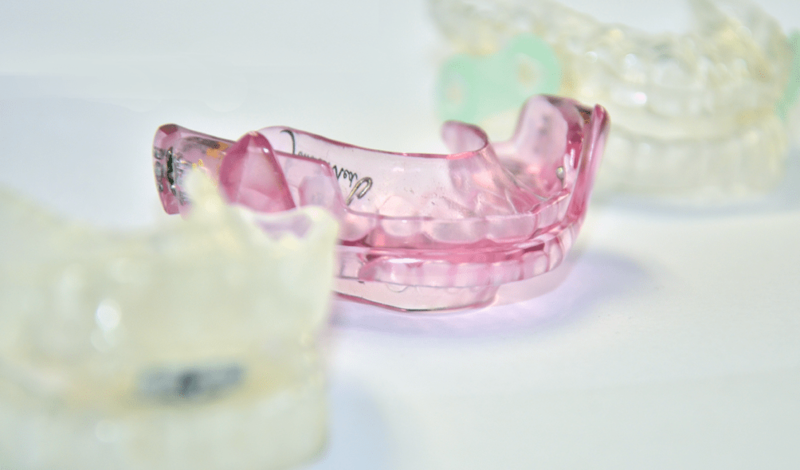 The appliance is fabricated and highly customized for each patient by a dentist with advanced training in the treatment of snoring and sleep apnea. You can learn more at our website Princeton Park Dental Center for Snoring and CPAP in tolerance.